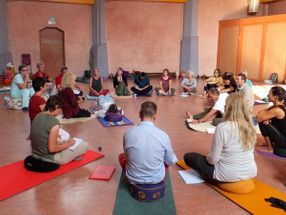 Below you can find all the information about the Sound Healer Course that Nestor Kornblum & Michele Averard will be presenting for the 10th time in Belgium, in the period of September to December 2019. 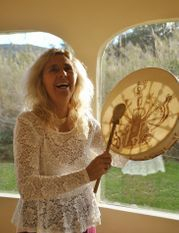 Nestor Kornblum & Michele Averard are pioneers in Sound Healing in Europe and the founders of The Association of Sound Therapy, based in Spain. Both are famous Sound Therapists with more than 20 years of experience. 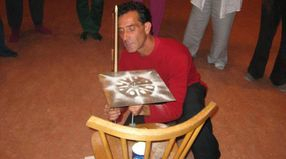 Nestor is a worldwide acclaimed Overtone singer & teacher and author of the book "Overtone Chant, the practical guide". Michele is a very succesful singer/songwriter, author of the book "13 Steps to free your Healing Voice" and facilitator of women's groups. Nestor & Michele have been giving this course very succesfully in Spain for almost 20 years. In 2010 they presented it for the first time abroad, here in Belgium. So this year it is their 10th year of giving the course in Belgium! The course is spread over 4 weekends, giving the participants the chance to integrate what they have learned in their daily life and enough time to practice. Due to the fact that in Belgium they only have to give the course in one language (English) the full course can be reduced from 6 weekends (in Spain, Spanish and English) to 4 weekends over here. After completion of the course you receive an A.S.T. (Association of Sound Therapy) Diploma. No previous knowledge whatsoever required! The course is - as mentioned - spread over 4 weekends/modules; topics can change from one weekend to another. The Science and Theory of Sound Therapy. How sound affects us on all levels of our being. The Healing Power of Sound and Energy. Practical techniques to take conscious control of the energy that flows through us, using the power of intention, visualization and the voice. Cleansing, harmonizing and balancing the chakras and subtle bodies with Sound. 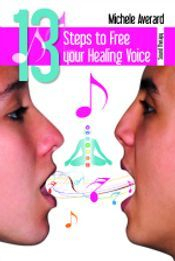 Singing two simultaneous sounds by amplifying the harmonics within your voice. The basic techniques and therapeutic applications. 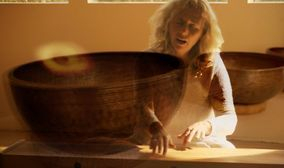 Singing Bowls: The origins, theory and applications in self ?healing and applied healing. Includes practical sessions. I.e. 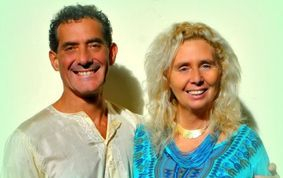 Tibetan bowls, more advanced, in-depth energy work, and plenty of practical excercises (in couples/pairs), a lot more voicework. 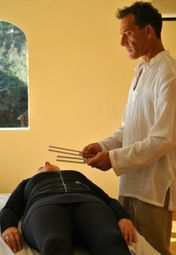 Tuning Forks and their application in Sound Health Therapy. Intervals (the relationship between sounds) and their effect on the human system on mental, emotional and physical levels. 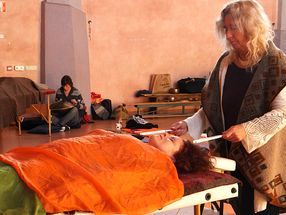 The use of colour in conjunction with other sound healing tools. Harmonic Integration. Revising and integrating the entire course. Practical evaluation and award of diplomas. Full session as an exam, then diplomas. The Steiner School does not provide overnight accommodation. But a graduate of 2011 has been offering, at a very competitive price, 2 rooms for participants of the Course. Send us an email and we will give you her contact details. Furthermore, you can find all information on hotels and B&B's on the website of Visit Lier. And of course you can check Airbnb for a cheap stay. If you need overnight accommodation, we recommend that you book your stay a.s.a.p. € 1.495 for the full course. Other proposals of paying in parts can be considered, please contact us with your proposal. Payments should be made by bank transfer to the account number IBAN BE56 7330 5564 5088 / BIC KREDBEBB, with reference "SHC2019 + name of participant(s)"
Please note that, although the payment can be settled in parts, the course cannot be followed in parts (so you cannot register for just one or two weekends). cancellations within a month before start date = no refund.